this photo is part of Diane Arbus' collection of works called Freaks. She was known for photographing subjects that others did not feel comfortable with such as the mentally retarded, circus freaks, and nudists. This particular picture is interesting for me because the subjects are unaware of the photographer and are jsut being themselves. 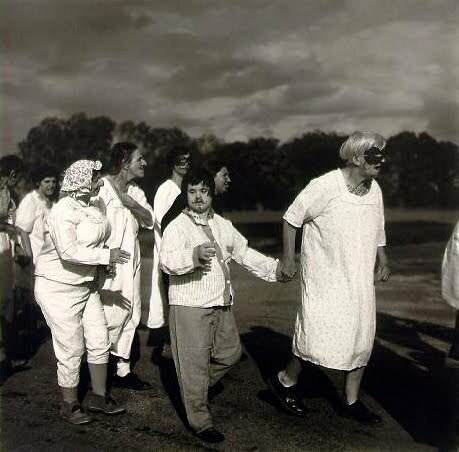 Arbus was really good at letting subjects just be who they were and you can see that in this photograph.